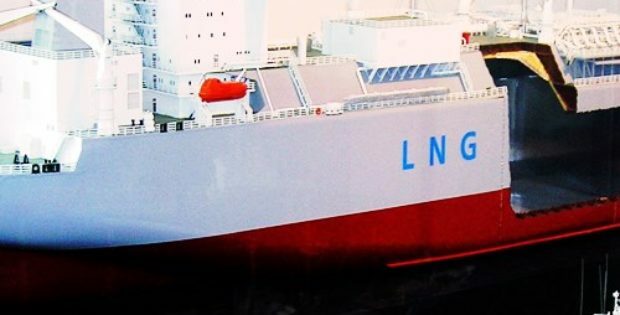 Norwegian Hoegh LNG has reportedly obtained a tender to source a floating LNG import vessel to the AIE (Australian Industrial Energy) consortium that aims to import LNG to the nation’s east coast by 2020. Sources cite that the move is a part of the consortium’s effort to improve local supply. The Australian Industrial Energy reportedly comprises the Marubeni Corp and Japan’s JERA that signed the agreement recently which allows the conglomerate to rent one of the Hoegh LNG floating storage & refrigeration units. According to The Sydney Morning Herald, the floating terminal will be placed at Port Kembla in New South Wales and will re-gasify imported LNG which will then be input to pipelines that will transfer it to the east coast gas network located 10 km away. Reportedly, this project will be pumping new gas into Victoria and New South Wales to offset the pressure of the projected 2020 gas shortage. The project will require an approval from the New South Wales state government before commencing. The state government is reportedly evaluating the proposed project on a fast track basis, tentatively titled ‘critical state significant infrastructure’. According to sources, the evaluation is being carried out amid pressure for driving down gas prices which have nearly tripled over the last couple of years on account of the three LNG export plants on the east coast that have caused scarcity of gas in the domestic market. In a supposed effort to bridge the supply gap the AIE (Australian Industrial Energy) and AGL Energy seem to have developed these plans for LNG imports. Australian Industrial Energy, Chief Executive, James Baulderstone stated that that AIE is on schedule to deliver gas to its industrial customers from Q1 2020. Baulderstone further added that the floating terminal from Hoegh is the most pivotal element of the project. The agreement will see AIE leasing and permanently mooring Hoegh LNG’s vessels in the inner harbor of Port Kembla. Incidentally, AIE plans to import 1.8 tons of LNG into the port on an annual basis.